The basement floor of the EICC was teeming with activity, mainly t-shirted young things with the fresh-faced enthusiasm of a freshers’ week gathering. They squeezed into the three Lennox suites hoping that an impressive line-up of technology godfathers would provide that nugget of inspiration that would help set them on their way to business success. 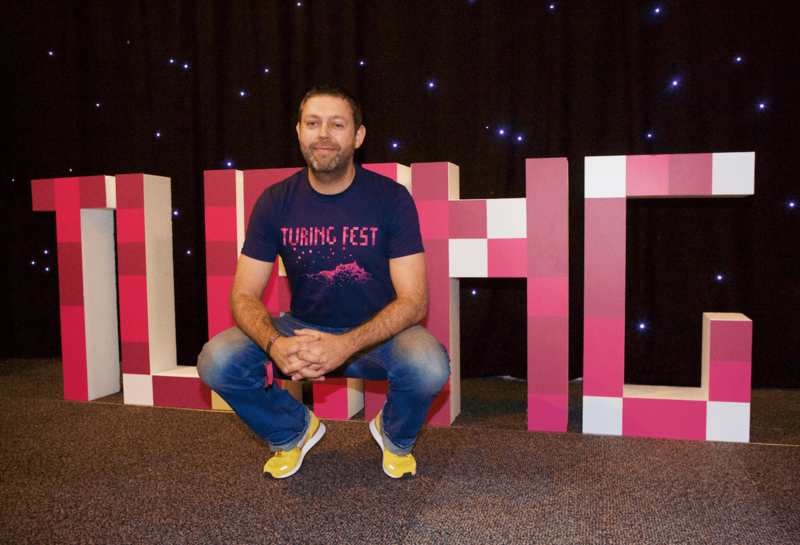 Almost 2,000 delegates signed up for this year’s three-day Turing Festival, turning the Edinburgh conference hall into a cauldron of brilliant ideas, solutions and a lot of questions. It’s mainly down to Brian Corcoran, organiser, who has also gone through that famous journey of failure before latching on to what began as a “tech meet up” in 2011 and has turned into a global phenomenon. Delegates are not only local (Scottish), they’re from some of the key tech centres like Berlin and San Francisco. As it coincides with the start of the Edinburgh Festival it also provides some with an added incentive to check out the city and bring their families. If Twitter is anything to go by the speaker line-up has certainly made an impression with delegates oozing delight at what they heard, particularly Des Traynor who drew a lot of positive comment. Corcoran was particularly pleased to attract his fellow Irishman, co-founder of customer communications software company, Intercom. “I met him when he was one of four guys hotdesking in Dublin. Now they’re worth a billion dollars and running one of Europe’s most interesting tech companies. As he was so popular will he invite him next year? Corcoran was also delighted to have attracted the likes of Cindy Krum, who outlined to some effect the changes taking place at Google in its search for more information and how it will impact even more on everyone’s lives. “She is one of the top five SEO experts in the world,” says Corcoran. Ninety per cent of the world’s data has been created in the last two years and Google, according to Krum, believes that within the next two years we will have more conversations with our digital assistants than with our spouses. A utopian or distopian world? Corcoran just smiles as if he’s seen the future and knows that as well as being the consumers of this changing tech-led environment, the guys in these rooms are helping to create it. Is the Edinburgh tech boom for real or just hype? It’s definitely for real. You need the geeks, the capital and the right place to live in and we have them all, though we need to attract more capital, particularly beyond the early stage. We are organising a Tech Start-up Awards programme for November and we have plans for another conference in the tech sector.